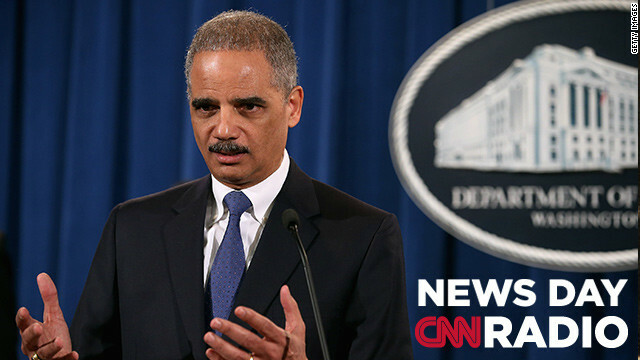 Attorney General Eric Holder leads a news conference regarding a lawsuit filed against Standard and Poor's Ratings Services at the Department of Justice February 5, 2013. "Put simply, this alleged conduct is egregious - and it goes to the very heart of the recent financial crisis." "We're sort of mirroring here in Illinois, national trends. Public support for marriage has just been growing tremendously." "I've met with some of the homebrewers and they will tell me, 'Oh, we're fine upstanding citizens. We go to church, we're active in our community, we don't overindulge, we don't get drunk... (but) I've never met an alcoholic that started out saying, 'I'm going to become an alcoholic.' They start out socially drinking. They start out homebrewing and tasting."